Many bankruptcy clients are avoiding collection calls. 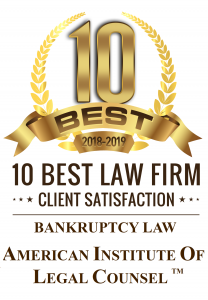 Consequently, it may be difficult for bankruptcy attorneys and clients to maintain good communication throughout the bankruptcy process. Often the attorney and client will play phone-tag leaving one another messages and voice-mails as both parties try in vain to speak with one another. When creditor harassment has forced the client to shun the phone, alternative means of communication should be established. One excellent form of communication in bankruptcy when telephone calls are not optimal is email. With email the client and bankruptcy attorney can communicate instantly and schedule times to speak with one another over the phone. If the attorney allocates time on his schedule for phone appointments, the client and attorney can communicate with each other within 24 hours of the client calling the attorney. If the attorney does not reserve time out of his or her schedule to speak with clients over the phone, email may still work for brief questions and answers. However, more in-depth questions or issues that require some investigation by the attorney may not be suitable for email replies and a phone call may have to be scheduled.